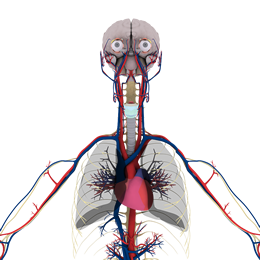 View the full circulatory system following the flow of blood through the human body and examining all the procedures involved in the cycle. Users can discover how nutrients such as amino acids and electrolytes, gases, hormones and blood cells, are passed to and from cells in the body to help fight diseases and stabilize body temperature and pH to maintain homeostasis. This is only a sample of the content available.